Whether you are a first-time home buyer or have bought and sold residential or commercial properties many times over—the investment you have at stake in any real estate transaction is substantial. As such, attention to detail is critical with every residential or commercial real estate transaction—if you want to avoid a 30-year headache or costly litigation. In addition to the quality service and expertise we provide, as a client of our firm, you can also expect that your matter will be handled directly by Mr. McIntyre or Ms. Kirshenbaum—not an inexperienced lawyer or paralegal. Both our attorneys and our staff are available to answer any questions you may have. We will always return your phone calls promptly and let you know about developments, good or bad, as soon as possible. Talk to an experienced attorney about your residential or commercial real estate transaction—call Francis D. McIntyre, PC at (908) 264-7220 or via e-mail, today. Our law offices are located in downtown Westfield, New Jersey within a short walk from the Westfield train station. We offer payment plans and flexible appointment hours for your convenience. 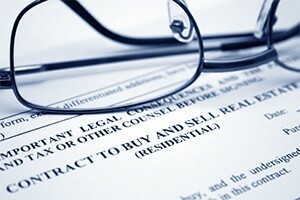 We are your New Jersey Real Estate Lawyers.